At issue is the period when a driver is on duty but has not agreed to pick up a passenger. 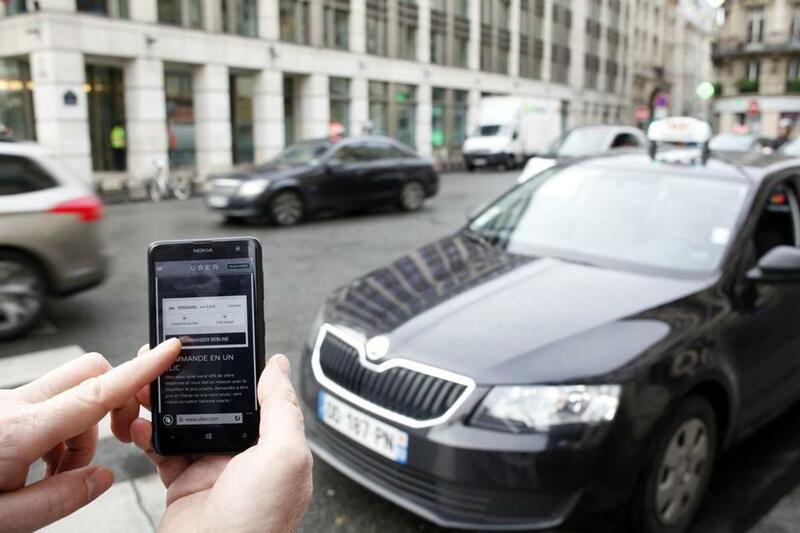 UberX drivers have access to commercial insurance coverage only when they have accepted a ride. Lately, it seems the bad headlines about ride-sharing companies don’t let up. Safety concerns have plagued companies like Uber, Lyft, and Sidecar. But there’s one controversy that has percolated behind the scenes: the one about who is insuring these drivers. As more people use their own cars to ferry customers around, connecting to them with apps, insurers are pushing back. Personal car insurance, they stress, is for private car use, not for the business of chauffeuring people for pay. At issue is the period when a driver is on duty but has not agreed to pick up a passenger. For Uber, the issue affects UberX drivers only. Those who drive Uber Black, Uber SUV, or Uber Taxi cars are required to have commercial licenses and commercial insurance. UberX drivers, however, have access to commercial coverage only after they have accepted a ride. When they are looking for customers, they do not. Around the country, state legislators are discussing proposals that include stricter insurance rules to regulate the so-called ride sharing industry. In effort to catch up with a rapidly changing market, some insurance companies in Massachusetts have started to write policies that explicitly exclude ride-sharing activities from coverage. Of those who do know, some say they simply don’t tell their insurers that they’re driving for Uber or other ride-share services, to avoid losing coverage. Over the past year, ride-sharing companies have gradually made concessions and taken on more responsibility for accident coverage, buying some insurance for drivers who are relying on their personal auto policies. As of now, Uber and Lyft offer $1 million in third-party liability insurance from the moment a driver accepts a ride to the moment that passenger leaves the car. But who covers the driver when he or she is roaming the neighborhood, looking for rides? Should an insurance company deny the claim, Uber and its competitors offer drivers a limited back-up policy. What the battle boils down to, not surprisingly, is money. If private insurance pays for even a portion of the accidents caused by on-duty drivers, ride-share companies have a lower risk and, consequently, lower insurance premiums to pay. It is now up to state legislatures to decide what insurance ride-share companies must provide. In Massachusetts, Governor Deval Patrick pushed a last-minute plan in December. On the issue of insurance, it proposed “appropriate” coverage for drivers, a move that was immediately criticized by insurance industry representatives as deliberately vague. California is the first in the nation to have settled the issue. In September, it required ride-share companies to provide insurance for their drivers from the minute they turn on the app. The swift action followed an accident on New Year’s Eve 2013 in which an Uber driver allegedly looking for rides on his phone struck and killed a 6-year-old girl crossing a street in San Francisco. Uber denied responsibility, arguing the driver was not providing services for the company at the time of the accident. In Massachusetts, the insurance debate has just begun. Arbella has not canceled any policies because of ride-sharing, Hyatt said, but has communicated concerns about the current insurance gaps to its customers. It’s a fine line for insurance companies, which want to reduce their risk but not lose clients. Competition is driving the search for solutions: Behind closed doors, certain Massachusetts insurers are developing hybrid policies, written specifically for individuals who do some private and some commercial driving.